So onto the topic of this post. 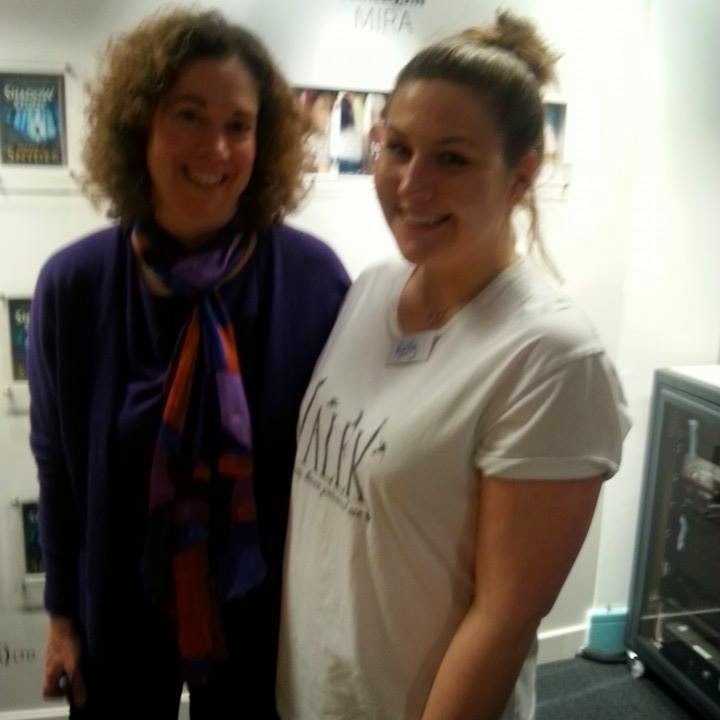 Last night I attended a book bloggers event at Mira Ink Publishers in Richmond, as part of Maria V Snyder's book tour. 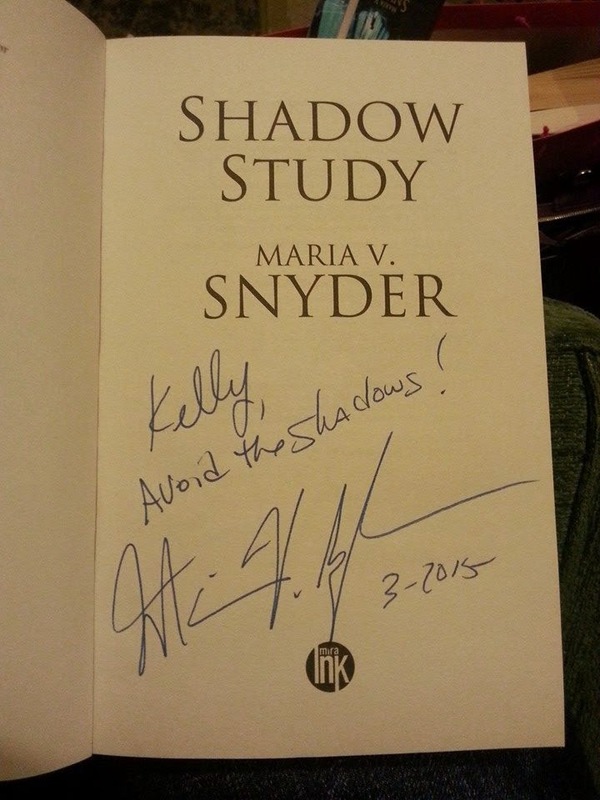 As you all know Maria is my favorite author so getting the chance to meet her, talk to her about my blog, get my copy of her latest book, Shadow Study, signed AND a photograph with her was incredible! Everyone at Mira Ink were so welcoming, offering food and drink, preparing goody bags and coming round to talk to us and introduce us all to each other. The other bloggers that attended were lovely, all with different varieties of blogs. Couldn't have asked for a better evening if I'd tried. Maria herself was so down to earth, coming round to talk to us all personally about our blogs, favorite books (although I think everyone said her's) and about ourselves. She even noticed my Valek T-shirt and snake bracelet I was wearing, needless to say it was a very proud moment! 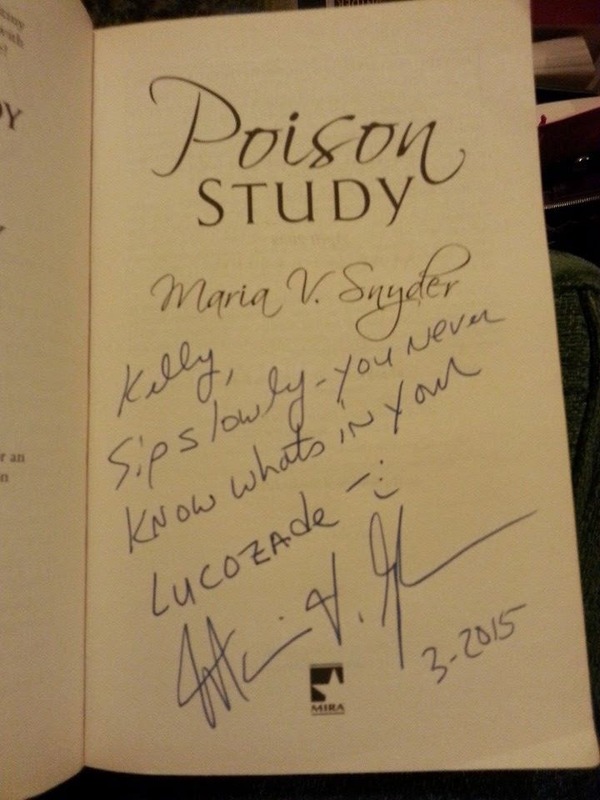 On top of getting Shadow Study signed, I also took my copy of Poison Study for her to sign which is now even more precious to me than it was before. 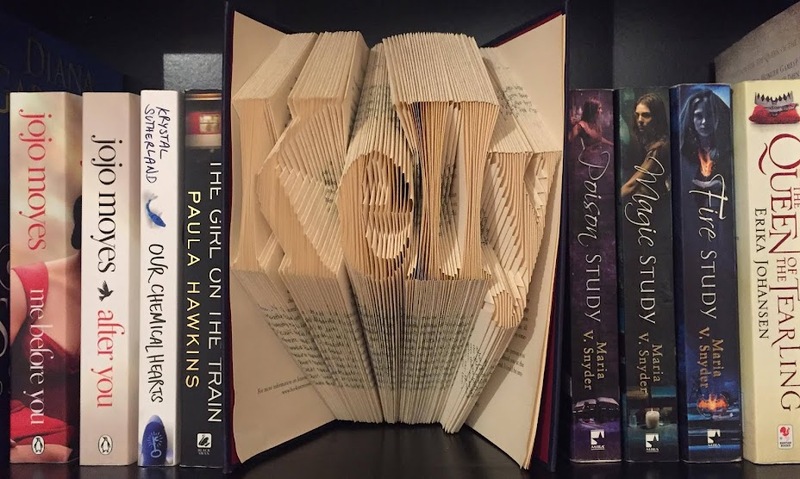 Just look at the notes she signed, how appropriate! Was so nice to meet you!